Running is one of the best ways to burn calories and shed a few pounds. 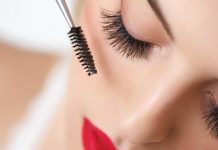 However, like most types of exercises, you need to make sure you are wearing the right clothes and accessories if you want to get the best results. Wearing clothes that are too loose or shoes that are too tight can make it hard for you to give it your best. The same thing applies to headbands. Failure to choose the best headband for running can interrupt your workout. So, to help you come up with the right buying decision, here’s a list of the top headbands we can recommend to runners like you. Halo II Headband Sweatband Pullover totally aced our review of the best headbands for runners. With its patented SweatBlock Seal channels, it can effectively keep sweat away from your face. It’s a good feature for anyone struggling with blackheads and acne since sweat attracts bacteria and causes skin breakouts. This headband has a pullover design which makes it really great. It won’t become loose even if you stretch it out. Additionally, it has a rubber strip which keeps the headband in place. Even if you decide to engage in serious cycling after running, you won’t have issues with this product. Now, the only issue with this product is its size. If you have a small head, it may not fit you that well. However, whether you’re a male or a female, you can totally purchase it since it has a unisex design. Toes Home Sports Headband is perfect for all kinds of sports. 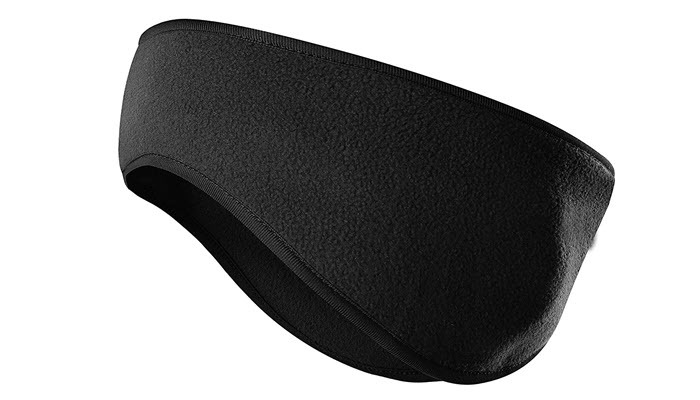 It is soft and highly absorbent so you won’t have to worry about sweat getting into your eyes or face whether you are running, hiking, cycling, doing yoga or performing a really complicated cross fit routine. 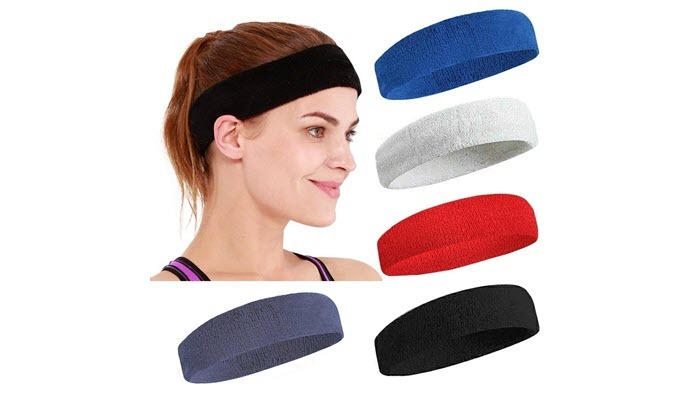 The sweatband comes in 5 different colors- red, gray, blue, white, and black. These choices give you the freedom to add a bit of your personality into your outfit. You can match it with the rest of your sports clothes without looking awkward. The headband is made with 70% cotton, 25% spandex, and 5% elastic. It features a unisex design which is actually practical. Now, when it comes to washing the headband, you can wash it using your washing machine set in its low setting. That way, your headband won’t lose its brilliant color. If you are the type of person who doesn’t like the weather or the season stopping you from doing your workout, then you’ll love Joe Young Fleece Ear Warmers. It’s soft and comfortable enough to wear whether you are indoor or outdoor in the winter season. The headband is made of 75% fleece and 25% polyester. Its materials help prevent you from getting cold ears. This headband features a traditional earmuff-like headset. It slides easily so you can adjust it when you’re engaged in an intense game of tennis, basketball or even skiing. Additionally, the circle shape of the ear warmer ensures that the band doesn’t move around no matter what type of activity you’re doing. The product can fit both men and women. If you have kids who are 7 years and older, you can get them a pair as well. The headband has a superelastic design which enables it to fit different head circumferences. 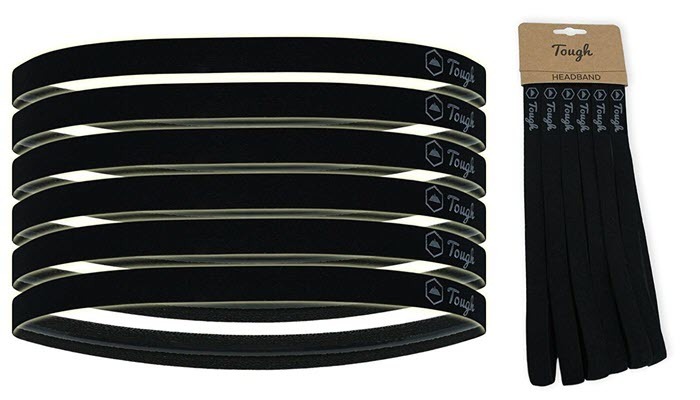 Tough Headband Mini Sports Headband is plain and simple. It can basically do what a sports headband should do. It’s dry and comfortable, thanks to its microfiber, polyester fabric. 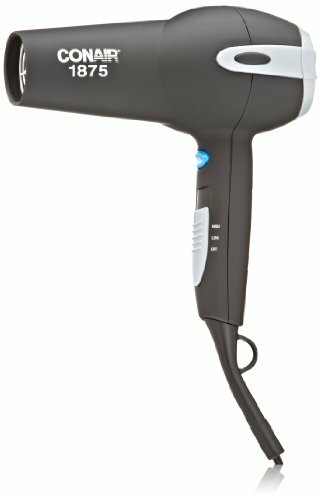 It can move sweat away and keep your hair off of your face. Because of that, it’s the perfect headband to use in most gym exercises and outdoor activities. One of the best things about this product, other than its affordable price, is its size. Whether you have a big or small head, you won’t have issues making it fit. It has a soft silicone lining that’ll keep it secure and tight on your head. If you are curious as to how we were able to come up with this list, below are some of the criteria we used to narrow down your choices. You might think that all running headbands fit every head size, but that’s not always the case. Because of that, you need to make sure you get one that’s the perfect size for you. Check if your headband of choice isn’t too tight that it restricts blood flow or too loose that it slips off of your head. If you are planning to get the perfect headband, you should consider your hair color as well as the type of outfit you frequently wear when running. Make sure that everything matches perfectly as that can help boost your energy during the activity. Additionally, consider the type of running you’ll do. If you prefer to run at night, get a reflective headband. If you are thinking of running in the winter, get a headband that can keep you comfortably warm. 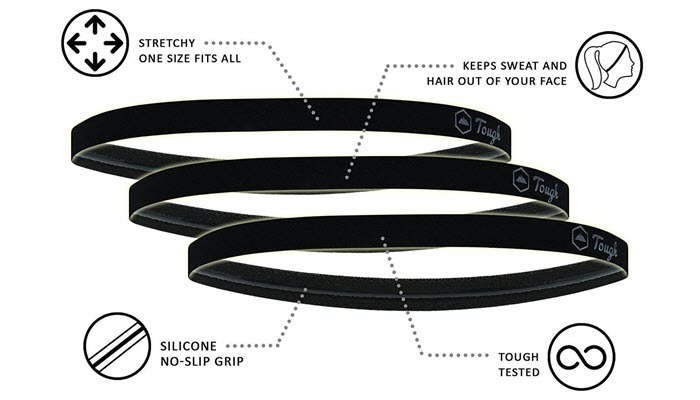 For the summer, get a headband that’s sweat resistant. The durability of a headband is just as important as its size. 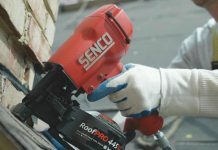 Even if you are looking for the most affordable option, you need to make sure you don’t sacrifice quality. The best headband for running should be able to last long even with constant use. It should be able to keep up with the demands of running, too. 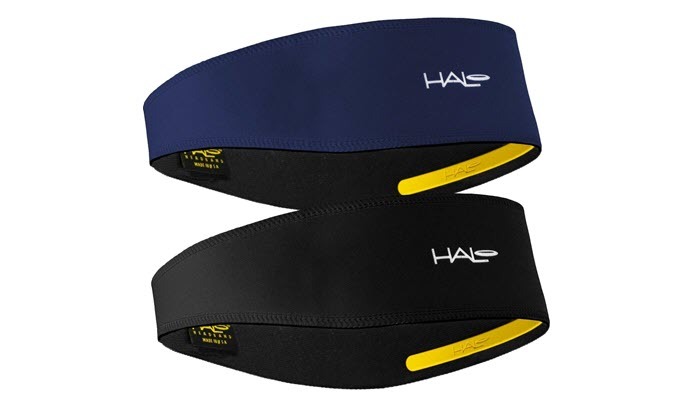 For us, the best headband for running is Halo II Headband Sweatband Pullover. It has the right design to keep sweat away and to ensure that it stays in place no matter what activity you’re doing. To complete your outfit, you can also check out our review of the best running shoes and best running belt. We also have a review on the best running backpack and running watch you might want to check. Now, if you’re unsure about what you should exactly wear, here’s a quick guide you can refer to.